I think most of us love to eat. People of Pakistan specially Lahoris loves to eat outside with their families and friends. 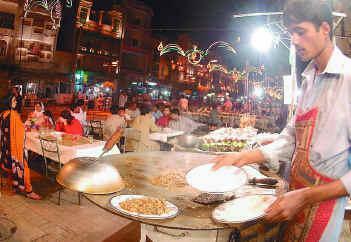 Spicy foods like BBQ and Karahi are favourite foods of people of Lahore. There are many amazing Eating places in Lahore where people loves to go regularly to enjoy these foods. So following i am sharing some of the best eating places in Lahore. Whenever you visit Lahore. you must visit any of these place.